Classes are back in session, leaves are flying through the air and people are tweeting about Halloween and Christmas. Fall is in full swing and so are new fall TV shows. Whether you’re into drama, comedy, reality TV or anything in between, there is something for everyone. Check out the highlights of what’s coming up. “The Voice” returned for its 13th season on Sept. 25. This time around, the hit NBC reality show acquired two new superstar coaches for its panel: Jennifer Hudson and Miley Cyrus. 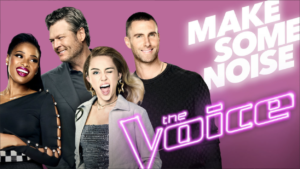 The two pop divas join forces with veteran coaches Blake Shelton and Adam Levine to create one of the more dynamic combinations in recent memory. “The Voice” has launched the music careers of Cassadee Pope, Danielle Bradberry and Jordan Smith. This season’s premiere showcased the talent of several promising artists. The show began and ended with a performer who managed to make all four coaches turn their chairs. You can watch the next pop sensation rise to fame every Monday and Tuesday at 8 p.m. on NBC. “Scandal” is one of three programs in ABC’s “Thank God It’s Thursday,” which also features “Grey’s Anatomy” at 8 p.m. and “How to Get Away With Murder” at 10 p.m. Even sandwiched between these two huge hits, “Scandal” manages to maintain a significant following. 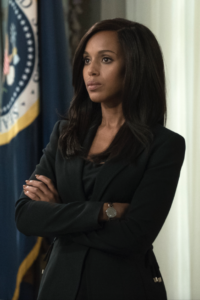 The politically-charged drama follows the story of Olivia Pope, who operates a crisis management firm in Washington D.C. Loosely based off the Bush administration, the hit drama has received significant praises for its creative storyline. The show was created by Shonda Rimes, who also is responsible for the show’s two “Thank God It’s Thursday” counterparts. The seventh incarnation of the show is expected to focus on Olivia Pope’s new position as Chief of Staff of the President. The seventh and final season of “Scandal” will air on Oct. 5 at 9 p.m. on ABC. “AP Bio” is a new comedy show coming to NBC. Created by “Saturday Night Live” veteran Mike O’Brien, the show is set to follow the storyline of a philosophy scholar who misses the one chance at his dream job. Instead, he finds himself teaching a high school biology class, much to his chagrin. While AP Bio doesn’t have a premiere date as of yet, viewers can expect it to air on NBC soon. “Big Bang Theory” fans can rejoice in an entirely new show based on one of TV’s most beloved characters, Sheldon Cooper. “Young Sheldon” brings viewers the perspective of a pre-teen Sheldon navigating his tumultuous childhood. Although sitcoms have waned in popularity the past few years, CBS’ latest comedy received successful ratings during its premiere last Monday. Critics maintain it is not simply another “Big Bang Theory,” and viewers can expect the sitcom to be a nostalgic journey to Sheldon’s childhood in the 1980s. Although ultimately a sitcom, the show tackles issues like a strained family life and social incompetence. You can take a trip back to the 80s with Sheldon Cooper on CBS which re-airs on Nov. 2 at 8:30 p.m.
Another series premiere, “The Good Doctor,” joins the likes of “Grey’s Anatomy” and “Scandal” as part of ABC’s iconic lineup of TV dramas. 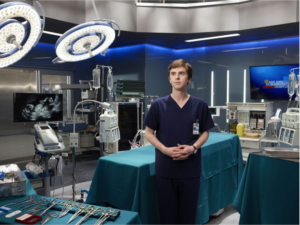 The show premiered last Monday, and critics compared it to “Grey’s Anatomy” for the better and worse, seemingly split on if its parallels to the acclaimed show was a good or bad thing. “The Good Doctor” follows the story of a young surgeon who has Autism and Savant Syndrome. Because of his conditions, he lacks the ability to read social cues. Despite his symptoms, Shaun Murphy is a gifted surgeon who has the ability to see things in ways his colleagues cannot. Tune into “The Good Doctor” on ABC every Monday at 10 p.m.
From 1998 to 2008, “TRL” aired as one of TV’s most iconic TV shows. Carson Daly, and later Damien Fahey, would count down the top videos of the week, which were called in by request from viewers (hence the title: Total Request Live.) MTV’s juggernaut was also the source of some legendary TV moments, from Mariah Carey’s nervous breakdown, to Britney Spears’ debut. 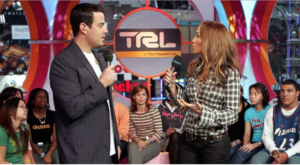 MTV has resurrected “TRL” this fall, redesigned for a new generation. Instead of only airing music videos, (which can now be viewed easily on the Internet) the show is focusing on all things pop culture, including film, fashion, and yes, music. Hosted by DC Young Fly, a rapper and Internet star, you can watch all the mayhem and nostalgia every day, from 3:30 p.m.to 4:30 p.m. on MTV.